Many of our kids are already out of school. Mine are getting out this week – I can’t wait! And with summertime, often comes TRAVEL! Domestic, international, by planes, trains or automobiles. Wherever we go and however we get there, the summer often includes packing up, leaving our homes and having some good ‘ol family fun! But leaving our home also means leaving behind our home remedies and sometimes interrupting our vacations with a nasty cold or tummy bug or earache. 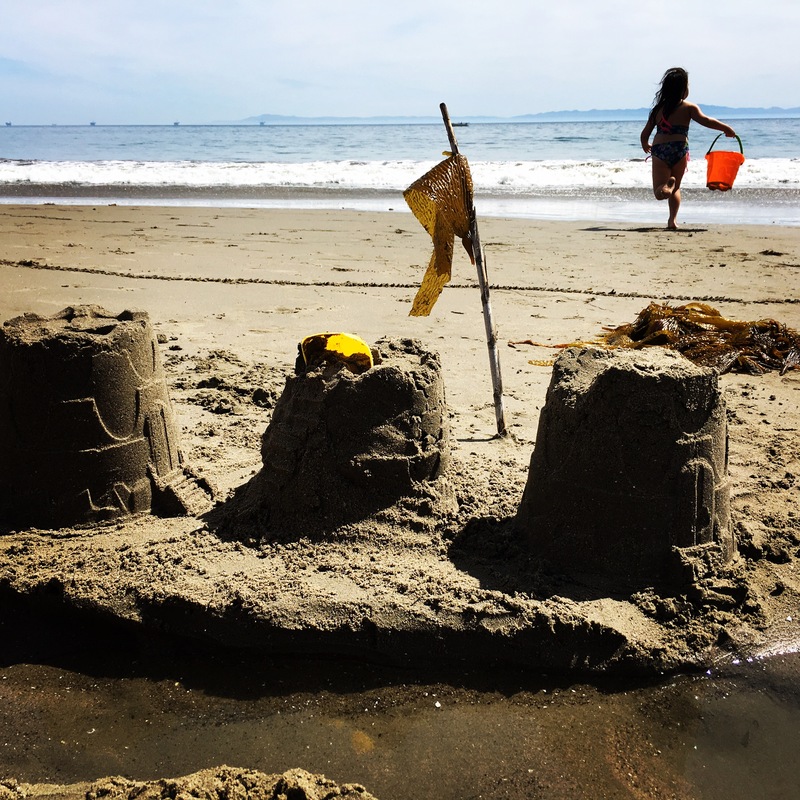 Many of my patients ask me what, as a holistic pediatrician and mama, I bring with me on our travels so that we have a healthy, happy vacation and can successfully nip those illnesses in the bud quickly and get on with our fun. So here it is – my holistic travel remedy kit! Probiotics – I typically bring ones that don’t need to be refrigerated, like Orthomolecular Products Orthobiotic powder and/or capsules. Taking a probiotic-a-day can keep tummy troubles and the flu away! Vitamin D3 – Even if you’ll be swimming and playing in the sun all day, a little extra Vitamin D3 when we’re sick can give our immune systems that much needed boost. Umcka Coldcare syrup – This herbal syrup is great to start at the beginning of any cold or flu-like illness. (NOTE: this is the same as Integrative Therapeutic’s V Clear syrup). Kan Herb’s Windbreaker – This tincture is a staple in our household. We travel with 8-ounce bottles! If your child is amenable to taking Chinese herbs (really – these aren’t bad! ), this formula will knock that cold, fever, or flu right out of your system! Xlear Nasal Spray – A must to prevent infections (spray while flying or after any potential “exposure”), and to help clear those congested, runny noses! Aconitum napellus – sudden onset of high fever and cold symptoms, especially after being exposed to cold wind (like on the beach! ); croup attacks. Apis mellifica – for hives or swollen, red, burning or itching mosquito bites, bee stings, etc., better with cold compresses. Also good for sunburns! Arnica – for head bonks, bruises, sprains, aches and pains. Arsenicum album – for stomach flu or food poisoning with vomiting and diarrhea, also for wheezing and wet cough, especially when worse 1am – 3am. Belladonna – for high fevers, delirious, with red clammy face. Coldcalm – a combination cold/flu formula to combat the most common symptoms. Ferrum phosphoricum – for low grade fevers without any other clear symptoms, at the start of any illness; for any earache. Hepar sulphuris (use 30C) – for swimmer’s ear, sore throats, and boils/abscesses. Nux vomica – for upset stomach/indigestion especially after overindulgence (too many ice cream sundaes, perhaps?). Arnica + Cocculus indicus – 3 pellets of each 3x/day, starting the day before travel and continuing for 3 days after landing. Melatonin – 0.5mg – 1mg, ½ hour before desired bedtime for the first few nights (you can even give this on the plane at the desired bedtime of your destination). This combination has saved me on our live-aboard boat trips and whale-watching excursions! Petroleum + Tabacum + Cocculus indicus – 3 pellets of each 2x/day while on a boat (or other motion-sickness inducing event), and every 2-3 hours as needed for motion sickness. Arnica ointment – for bruises and sprains. Calendula ointment – for open cuts and scratches, itchy rashes. Lavender – for general calming, fevers, aches and pains, sleep support. Peppermint – for nausea, can also be applied directly to itchy spots and bites. So there you have it – the essential holistic travel remedy kit that I carry with me during all of our family’s travels, any time of year. 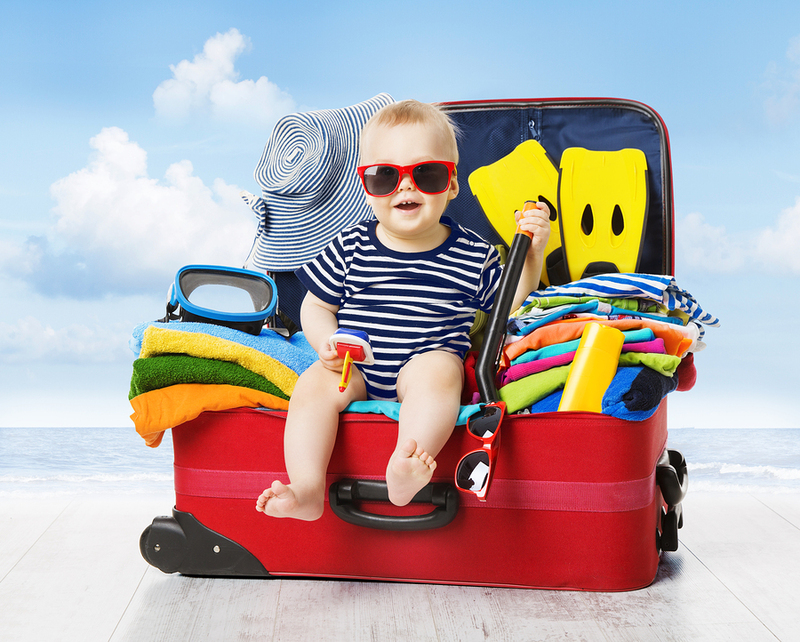 Now go have fun all summer long, armed with your own travel kit to keep your family healthy and happy wherever you go! And please do pass this on to any family you know who will be traveling and could benefit from this information! Thank you for this article! I will definitely add some of these to my travel kit. In regards to the garlic drops, can I use those preventatively? Could you recommend a brand? I have a 1 year old and she loves the water. We will be going to the pool a lot this summer and I’d like to avoid ear infections if possible. Hi Maria! Yes, you can use garlic drops preventatively. I use the Mullein Garlic ear drops by Herb Pharm – easy to find at Whole Foods and order online! You’re so welcome, Kristen! Did I answer your question? I would also take Oscillococcinum 1 vial on the plane, and spray Xlear throughout the flight and blow your noses! (I updated the blog post just now!) Miss you guys! Thank you so much for this helpful post, it is much appreciated. May I ask, what probiotics do you normally take? I note the ones you suggest you travel with, I was just wondering what brand of probiotics you take at home, if you don’t mind me asking? Hi Jennie! I don’t mind at all. My husband and I take Klaire Therbiotic Complete capsules, 1 capsule daily. My children who are 7 and 5 take Klaire Therbiotic Children’s chewables, 1 chew daily, which are essentially identical to the Therbiotic Complete in strains and potency but in a chewable form. My baby is 11 months old. We are currently given her mommy’s bliss probiotic drops. Can you suggest if i can continue that or anything else is recommended? Also we are travelling to new hampshire next month. This blog is really helpful to pack my travel necessities. Do the infant need anything different? Hi Elena! So glad you found it usefut! Have safe and wonderful travels. Can’t wait to hear all about it! Thanks for the helpful info! I have learned so much from following you! Can you please recommend a good brand of probiotics and vitamin d3 ? My 3 year old is on the spectrum and on the GAPS diet. Hi Roxanne! I can tell you what we use at home for us and for Kenzi (7) and Bodi (5) – for probiotics I use Klaire Labs Therbiotic Complete powder 1/8 tsp daily, and for Vitamin D we use Orthomolecular Products Liquid Vitamin D3 which is 1000IU per drop. On the windbreaker, do you need to boil out the alcohol? or it ok to give “as-is” to a 14 month old? I started giving Windbreaker to Bodi when he was under a year of age and Kenzi would bring germs back home from school, and I did not boil out the alcohol. The amount of alcohol is very low, and likened to the amount that would be present in a very ripe banana. However, some kids and adults are very sensitive to alcohol, in which case you can put the drops into a small amount of very hot water, let the water cool, and then give it to them. Thank you for this wonderful info! Do you have favourite brands for the homeopathic remedies? I use Boiron remedies because they are backed by incredible quality assurance manufacturing procedures, so I don’t doubt their safety and effectiveness. This is an answered prayer! I have been looking for exactly this!!! Thank you!!! Homeopathic medicines can be used at any age. Herbal medicines and vitamins should be checked with your pediatrician first. Best of luck! Thank you so much Dr Elisa. I am a new mom of a 2 month old little girl and I am so glad that I came across tyour blog and this article. We need more doctors like you Thank you again and God bless you and please keep sharing these wonderful holistic solutions. could you recommend anything for travel calm for the travel process for adults and children? I am travelling 24 hours with three little ones on my own and would like to carry some natural remedies to keep us (me) as stress free/ calm as possible while in the airports and on/off planes. Hi Milena – I’m afraid this is reaching you too late to help, but Hyland’s Calms Forte homeopathic formula is awesome for calm in any situation! Hi Dr. Song, thanks for the info. How young of a child can you give Oscillococcinum and Umka syrup? Are the majority of the items you list on your kit safe for babies? Oscillo and any homeopathic medicine is safe at any age. I typically wait for herbal medicines like Umcka until at least 6-12 months of age. And of course, if anything with honey, wait until at least 1 year. Hi Elisa, Great post really helpfully thanks! In regards to the Kan Herb’s Windbreaker how much would you give a 14 month old? Do you start it at the first sign of a cold? The elderberry I can give 1/4 tsp throughout the winter season to help boast immunity. Also what about Vitamin C is there one you reccomend for toddlers? Thanks again! Is amazon a safe place to order the windbreaker?